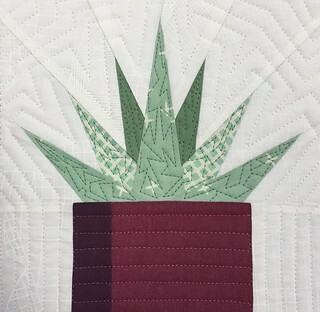 Modern Quilting by B: Succulent Patterns are in the Shop! Succulent Patterns are in the Shop! 1. Aloe. 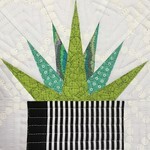 Made with medium to light shades of green, this spiky plant will look great in any color pot. Do you know that the juice of an aloe plant will soothe a burn? This makes the aloe an ideal plant for the kitchen. 2. Jade. A classic succulent, named for the rich green stone it resembles. If you snip off jade leaf and plant in potting soil, in no time at all, you'll have a whole new plant! 3. Paddle. The paddle plant is the quintessential succulent and comes in a variety of colors. Don't be afraid to use greens, purples and deep reds for this plant as these color variations are all found in nature. For 6'' x 6'' blocks, reduce the patterns to 75 percent. For 10'' x 10'' blocks, enlarge the patterns to 125 percent. For 12'' x 12'' blocks, enlarge the patterns to 150 percent. For 16" x 16" blocks, enlarge the pattern to 200 percent. 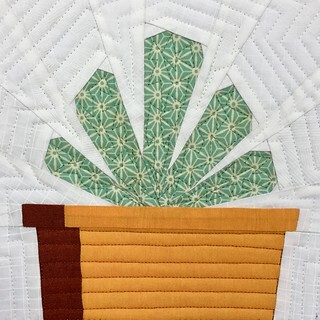 By enlarging some of the block patterns, you can make a quilt like this! 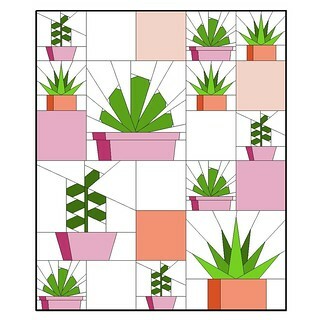 Just like the real plants, these blocks look great in bright color combinations too! If you plan to piece traditionally, simply cut apart the pattern and cut out the corresponding fabric pieces adding a 1/4" seam allowance to each side. It is important to be accurate with this! 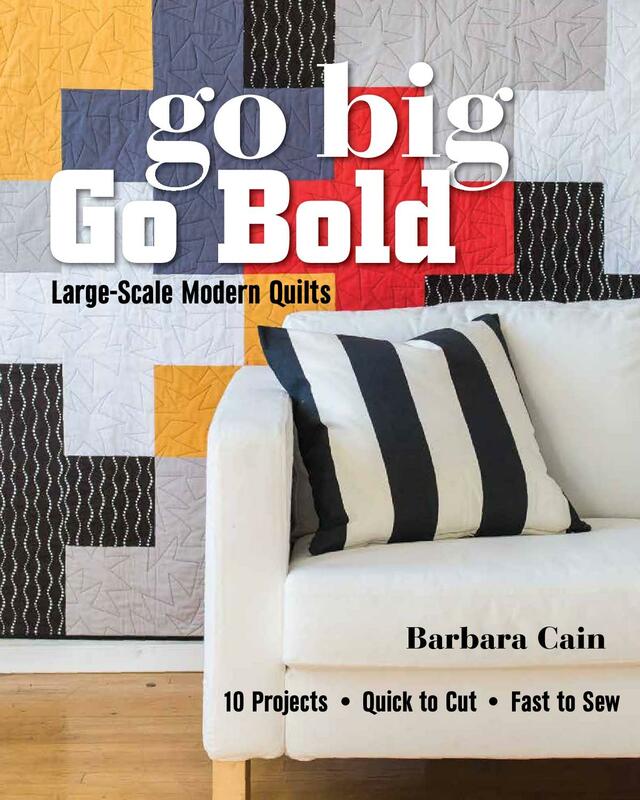 Sew the pieces together with 1/4'' seams just as you would with any other patchwork. 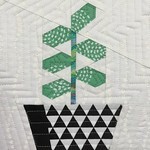 Be sure to sew the pieces together in order, i.e., start with piece A1, then attach A2, A3, etc.. Once you connect all of the A pieces, do the same with the B pieces. When the B pieces are all connected to one another, sew B onto A, and so on. 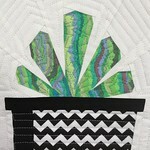 If you are a paper piecer, you know what to do! These patterns make great mug rugs, hot pads, apron pockets or pot holders. Enlarge the patterns to make table toppers, wall hangings or tote bags for your gardening friends! To purchase these electronic, downloadable patterns, just click on my shop button on the right! 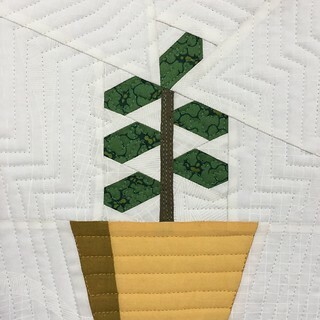 I love your new pattern and all the succulents! I think they might even "live" around here. <3 <3 <3 Love. Love. Love.